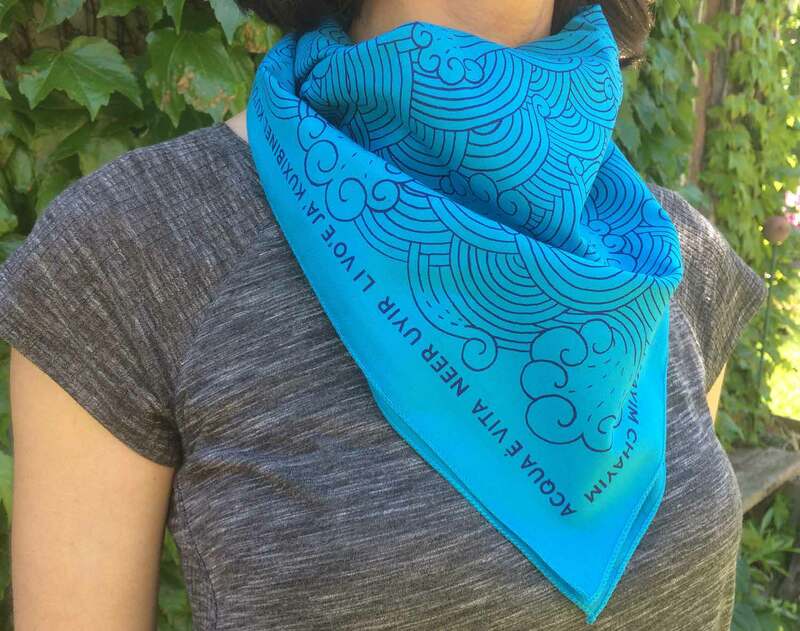 This is a new edition/new colorway of the popular bandana from our Wellspring portfolio! 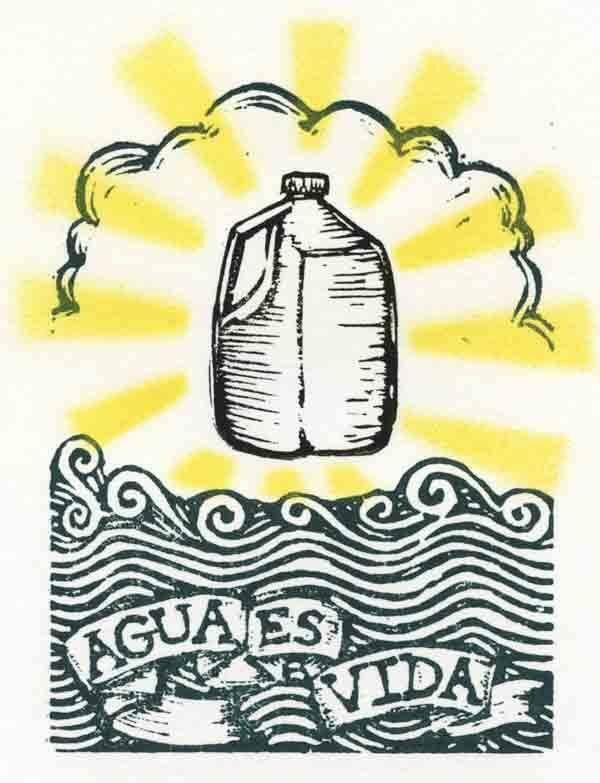 Solidarity with global water rights! 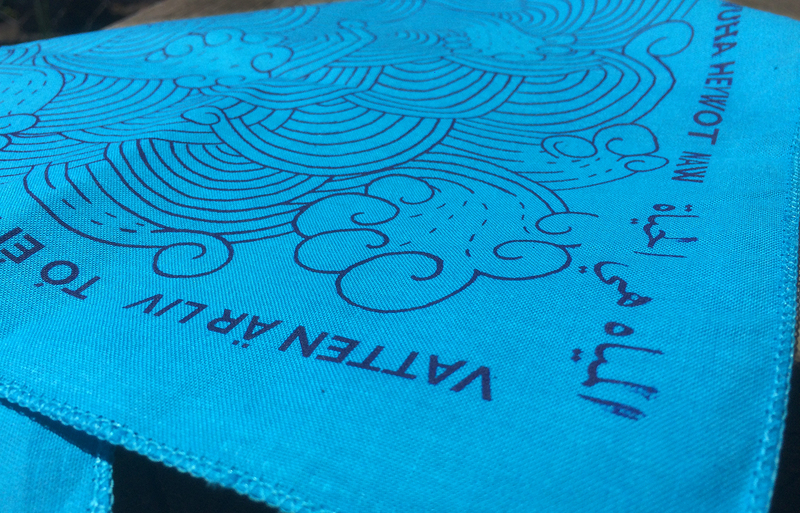 In the spring of 2016, I designed this bandana to package our newest portfolio celebrating water – Wellspring, organized by Bec Young, presenting twelve Risograph prints. 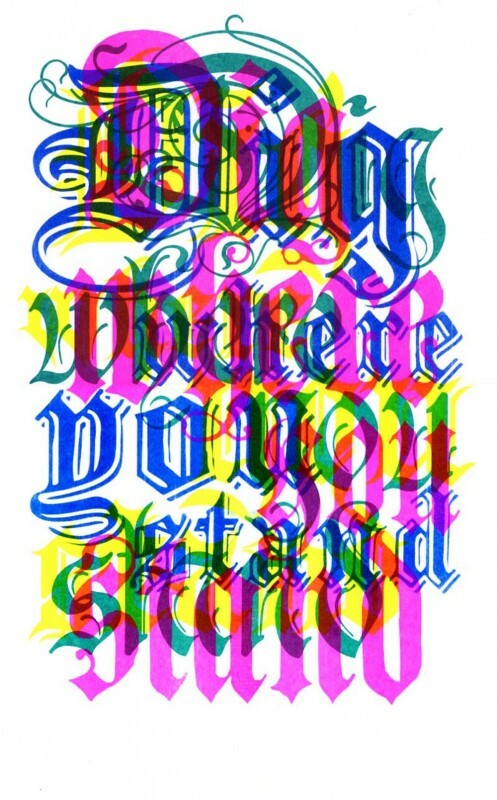 Featuring a new color and the words WATER IS LIFE (now in 24 languages! 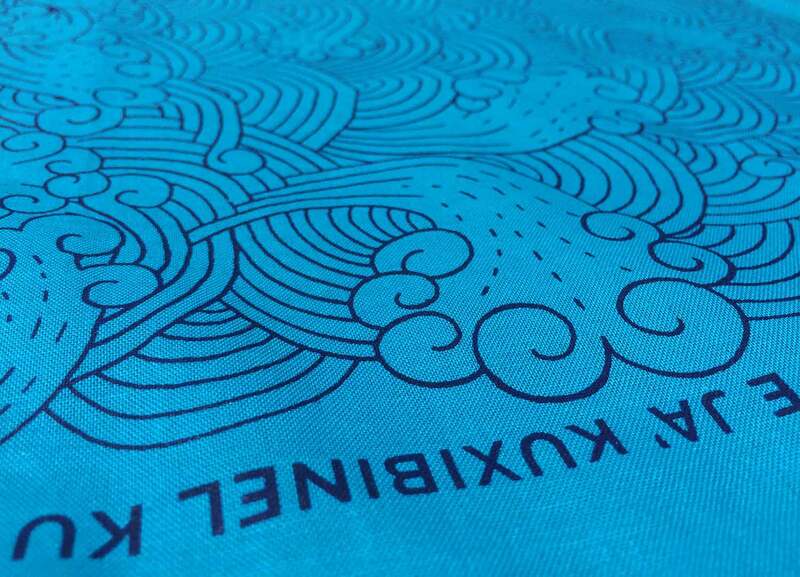 ), it was both a fun way to wrap the prints and a stylish addition for your bandana collection! 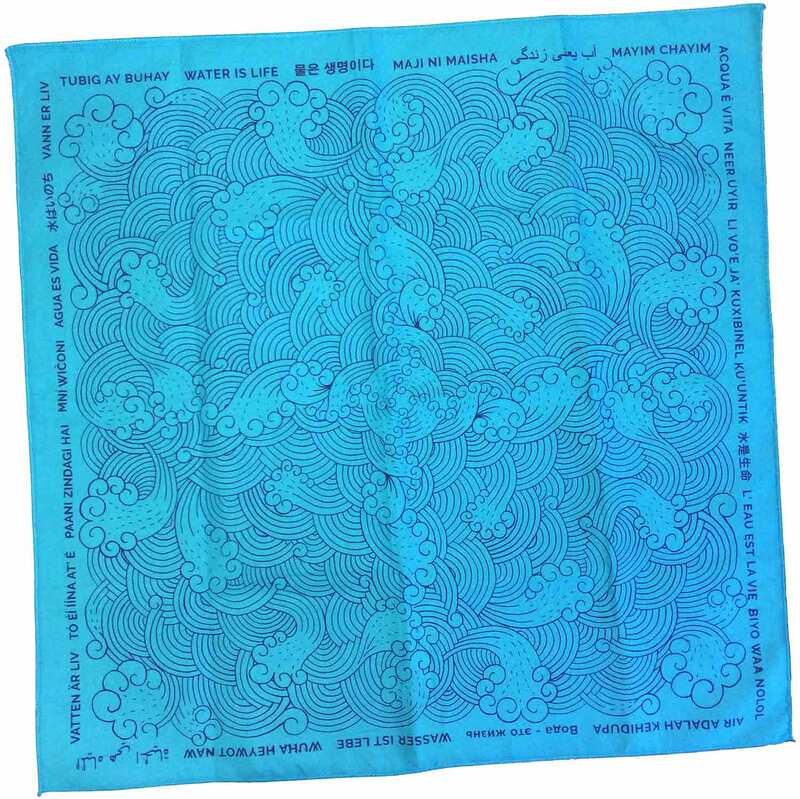 The design is a repeating pattern of abstracted waves — the words “WATER IS LIFE” frame the hemmed perimeter of the bandana in 24 different languages: English, Spanish, Indonesian, French, Arabic, Japanese, Korean, Diné, Russian, Norwegian, Hebrew, Swedish, Chinese, Italian, Somali, German, Hindi, Swahili, Tamil, Tagalog, Amharic, Farsi, Nahuatl, and Lakota. 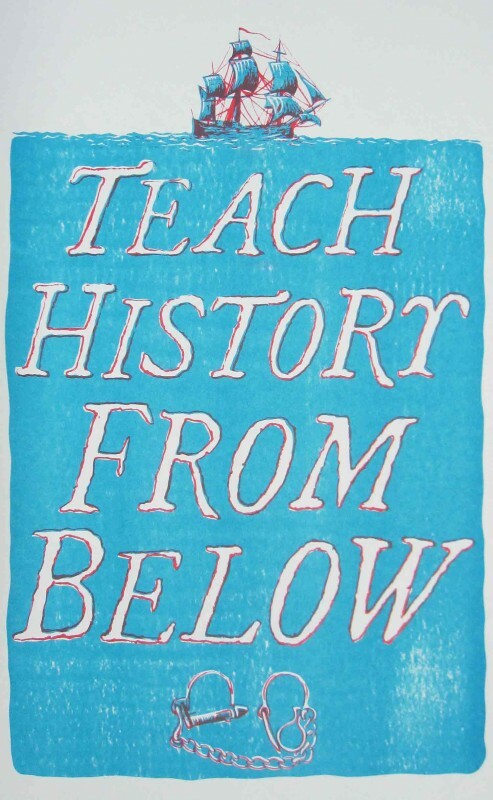 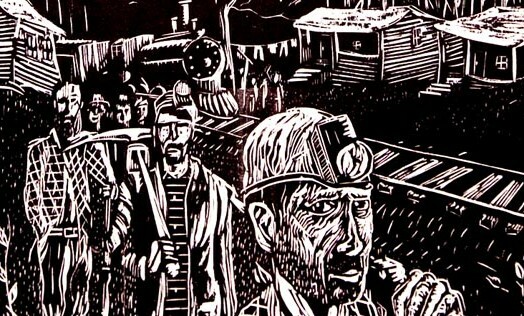 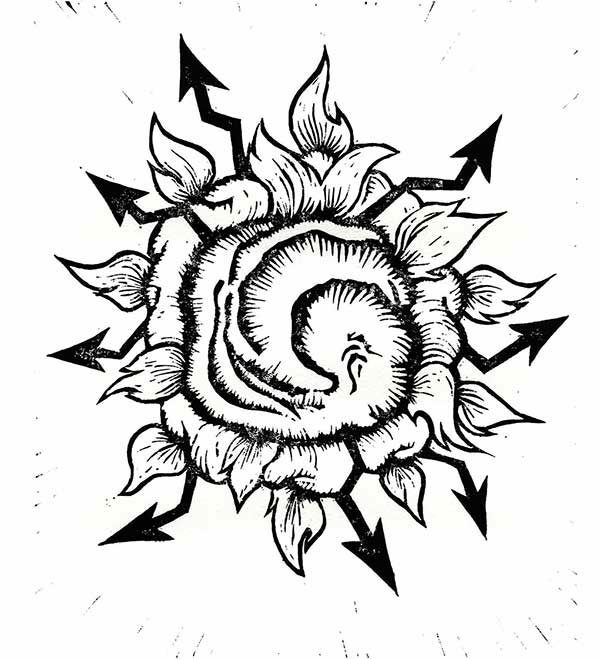 Printed by Justseeds member Jesse Purcell at his shop, Repetitive Press, in Toronto. 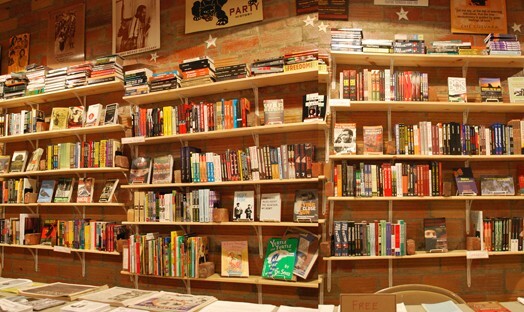 Burning Books opens in Buffalo, NY!